*waving* Hello to some new followers! Oh, yes. I notice. =) I am flattered and pleased that you are here. This is my old sewing room floor. Isn't it a mess? ?...After I moved most of my stuff down to the main floor, we could get a really good look at how awful it really is. I knew it was bad and threatened to paint it a time or two...Honestly? I didn't really grasp how bad it was until the room was empty. My hubby being the wise man he is, decided it seemed prudent to take advantage of a cleaned out room and go ahead and refinish the floor. I'll take pictures of the process as he works on it. While my hubby works on the floor, I will be working on a new project. A couple of summers ago, I bought the book Material Obsession because I fell in love with the quilt on the cover. I can not believe how much I missed. I was just catching up on your blog. WOW! girl I can not believe a few posts ago you ripped out all of your words on your quilt. That took some time? But I am in awww over your sewing room. It has turned out really GREAT. I am in love with your pink cabinet. Oh and I spied some cute little lamb's on your self. Soooo sweet. 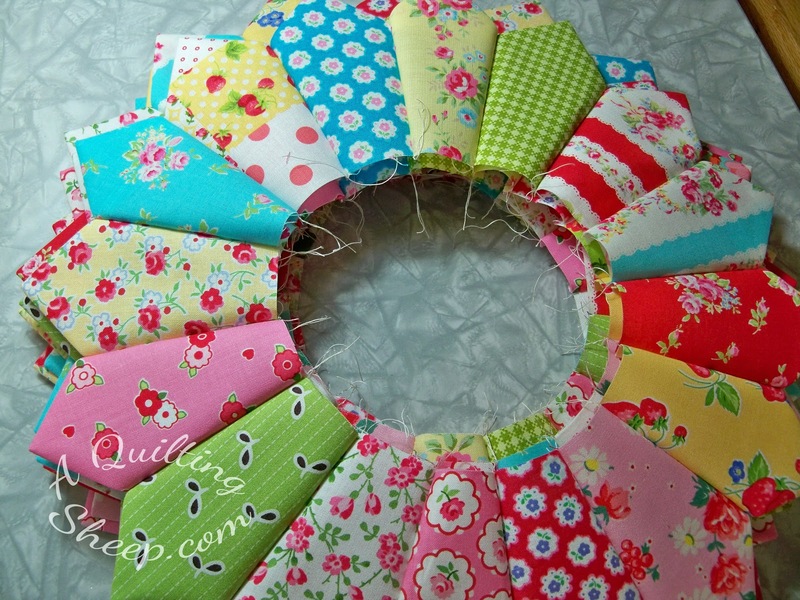 As we are ankle deep in snow in the UK and my local quilt group meeting has been cancelled I shall be spending the day sewing at home. I have some blocks to finish and hopefully make into a quilt top. But first i have to tidy out my underwear draw. A search for my thermal leggings proved fruitless yesterday but showed me just how jammed packed it was. Amy. I also love that book. I think we bought it at the same time! I think I even paid full price for it. This was before I was enamored with the Modern Quilt Movement. it's the happiness of the quilts, bright colors and tongue-in-cheek settings that grab me. I am going to grab my copy RIGHT NOW and revisit all the lovely things. Kudos for your delightful dresden plates. My day for the hop is Monday, so what I'm doing this weekend is putting the binding on my Dresden creation. It has dots, bright colors and some moxey! 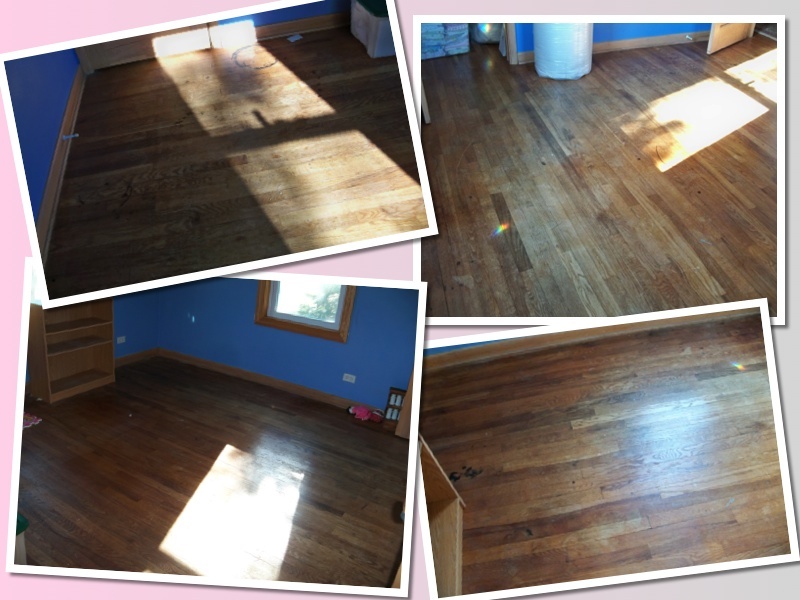 The floors will be beautiful once again when they are refinished! I have that book too, although my version has a different cover (funny how they sometimes do different covers for the US market). 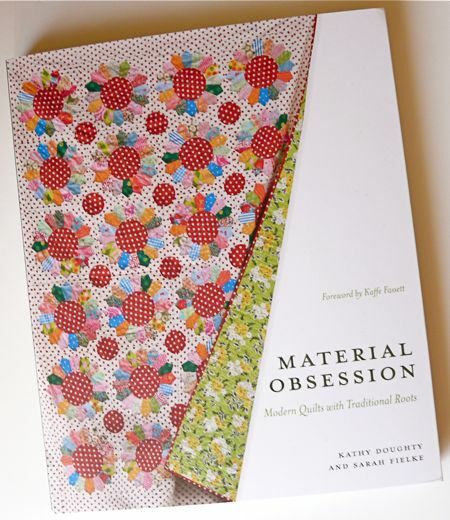 I also have Material Obsession 2. Are you planning on hand quilting your Dresden Plate quilt? My "Busy" post relates to a Sarah Fielke quilt from her book "Quilting From Little Things". I love that we are both slowly working on a Sarah inspired quilt right now.